The Class of 2018 Buchanan Promise eligibility letters were mailed yesterday. If you receive a letter, you will be reminded to pick up your Buchanan Promise recipient folder at Buchanan High School this week. 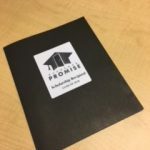 Stop in and see Jayne Lamb, the Buchanan Promise Coordinator, on Wednesday 5/23 or Thursday 5/24 in room 117 between the hours of 10 – 2 to pick up your Promise folder and ask any questions. 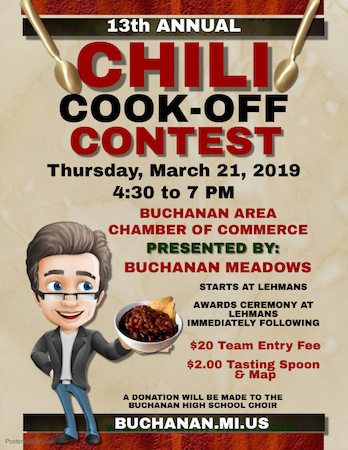 We are participating in Buchanan’s 13th Annual Chili Cook-Off Tonight. 2019 Seniors apply for the Buchanan Promise before Winter Break! Look for the Buchanan Promise table at Middle School & Ottawa conferences next week. KICKSTART to CAREER is HERE! 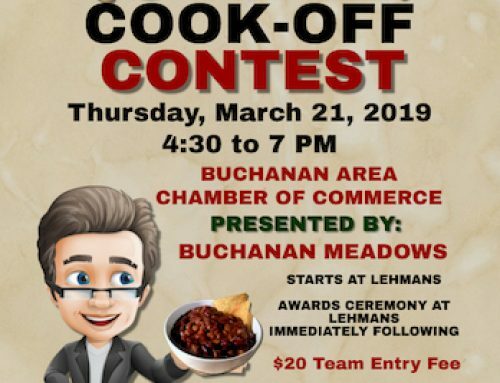 Enriching Buchanan to be a community of choice to live & educate one's children. To help Buchanan graduates achieve their dreams by supporting post-secondary success.